A sweeping classic action adventure game with awesome gameplay, memorable characters, and an 8-bit retro aesthetic. It's a hot mashup of new and old! You play as the eponymous Shovel Knight, a small knight with a huge quest. Shovel Knight has come to this land with two goals: to defeat the evil Enchantress and quest for his lost beloved. He wields a Shovel Blade: a multipurpose weapon whose techniques have now been lost to the ages. 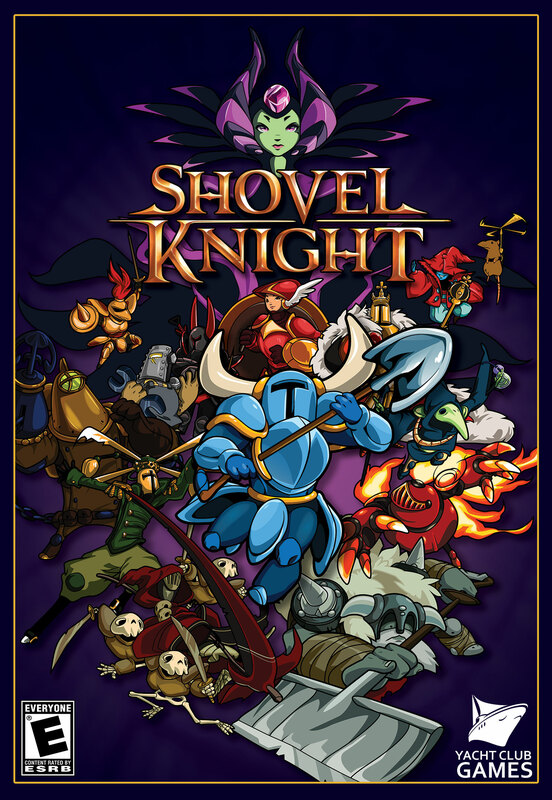 Always honest and helpful, Shovel Knight is a shining example of the code of Shovelry: Slash Mercilessly and Dig Tirelessly! Best indie game ever!If it doesn't win, i'll be forsed to defeat u all and collect your essence for the Ultimate Potion. If this does not win best Indie game of the year, I'm eating my shovel.